July 14 and 15 are the important dates in the 2017 calendar of Indian events in New York City. The Big Apple is the destination of International Indian Film Academy Awards 2017, one of the grandest Bollywood events at international levels. Of all New York Indian events 2017, the IIFA is a star-studded event to be rocking with the who’s who of Bollywood from India. The New York IIFA Awards 2017 will be followed by the Indian Academy Awards in Bay Area on July 7 and 8. 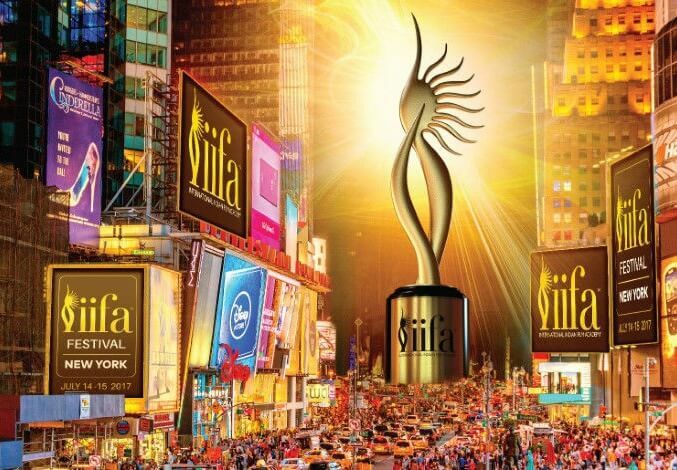 Tampa in Florida was the first US city to be an IIFA venue in 2014. Entrepreneur-philanthropist Dr. Kiran Patel, who announced to build osteopathic medical school in Tampa Bay for poor students, was the instrumental in bringing the 2014 IIFA Awards to Florida. Now USA is all set to welcome the 18th edition of International Indian Film Academy Awards in New York City. One of the most talked about Indian events in New York, the 2017 IIFA Awards is said to be bigger, better and grander than its previous editions. MetLife Stadium where international events are held is the venue of the International Indian Film Academy Awards in New York City. The iconic stadium, which is famed for hosting National Football League Games, will become a swing for Bollywood celebrities to indulge in revelries for two days. There is a press conference on July 14, the first day of the New York IIFA Awards 2017. The press conference is an ‘entry by invitation’ only event, and it will be followed by a red carpet event, IIFA Rocks, on the same day. New York Indians will see the best of IIFA Awards 2017 on the second day, July 15 when the winners of the 18th International Indian Film Academy Awards will be announced and felicitated. Both IIFA Rocks on July 14 and IIFA Awards on July 15 are ticketed events. The International Indian Film Academy Awards is a euphoric celebration of Indian Cinema beyond Indian shores. It promotes the rich cinematic culture of India on foreign shores every year, thereby connecting Indians abroad with the multi-million dollar Hindi film industry. New York City Mayor Bill de Blasio is pleased to welcome the IIFA Awards 2017 in New York, which is home to the growing Indian American community. The New York IIFA Awards 2017 is expected to rock the Empire City with electrifying performances by Bollywood actors on starry evenings of July 14 and 15.